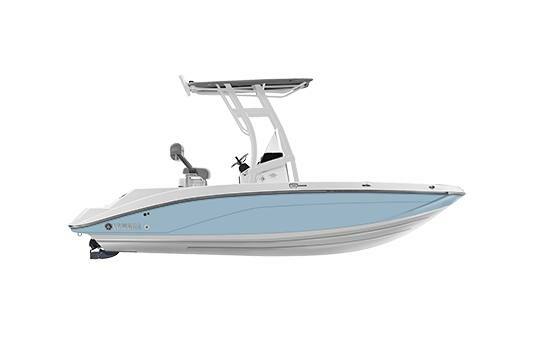 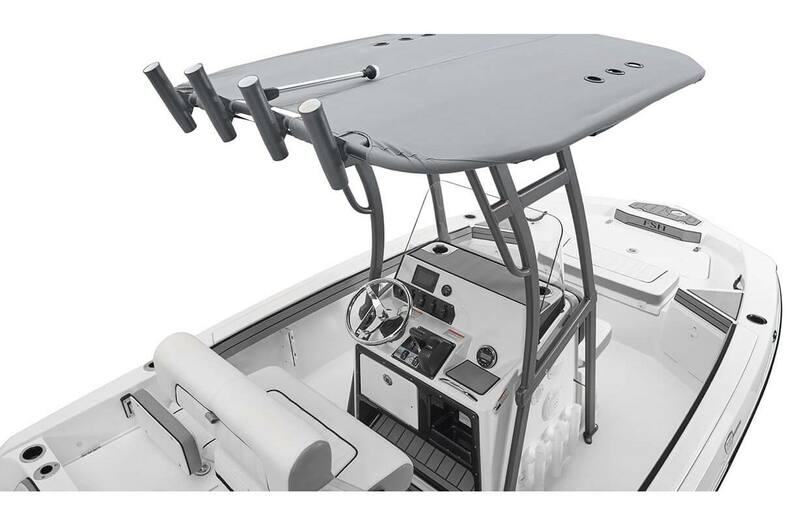 T-Top With Rod Holders: Exclusive to the Sport model is a premium color-matched tower with new grab handles. 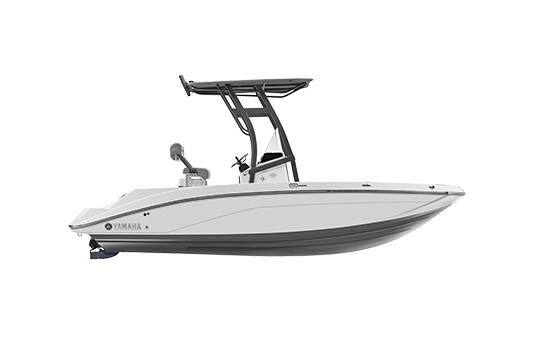 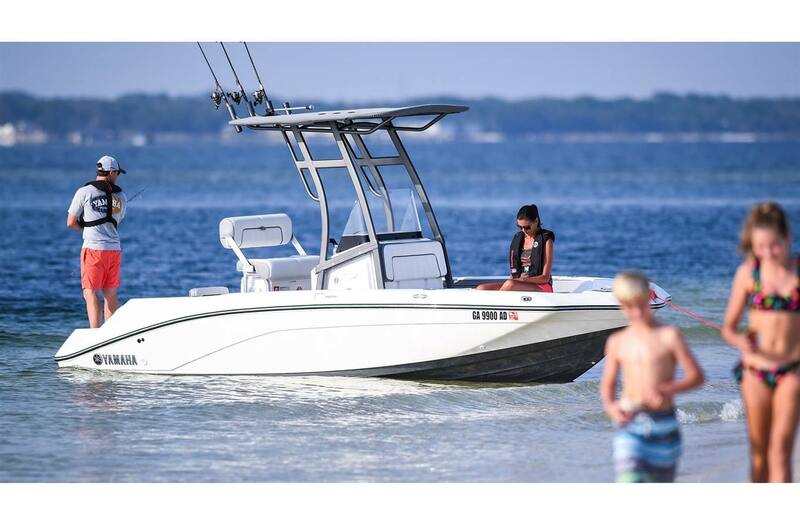 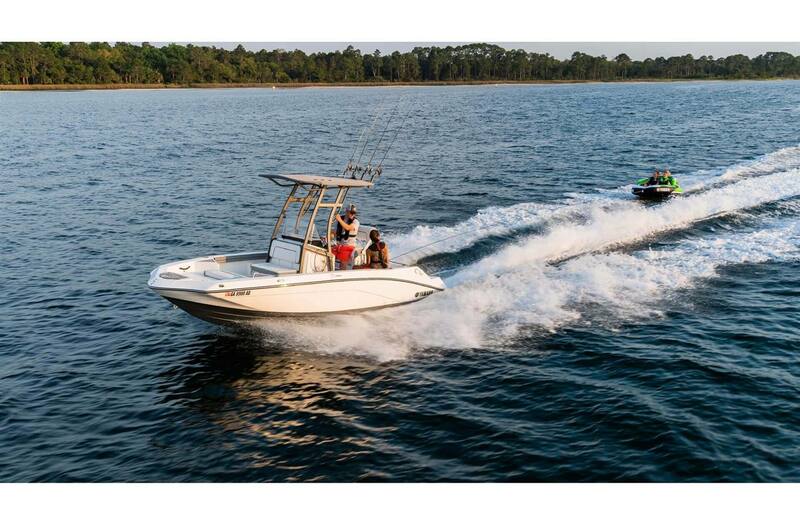 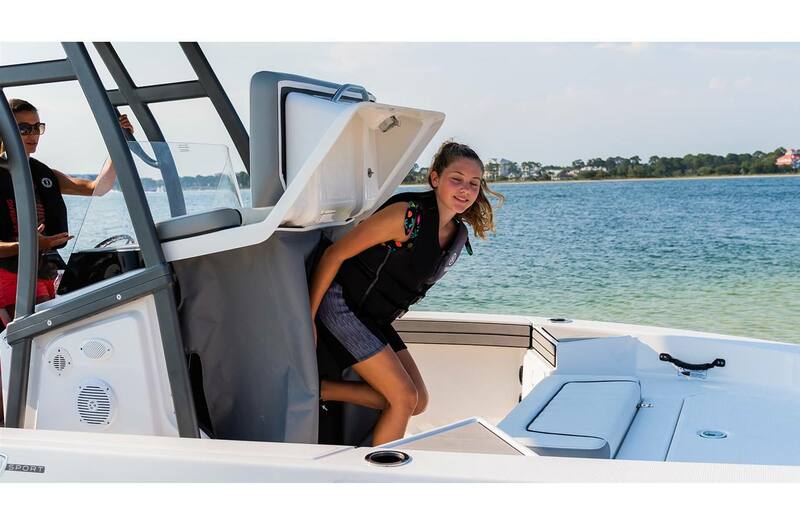 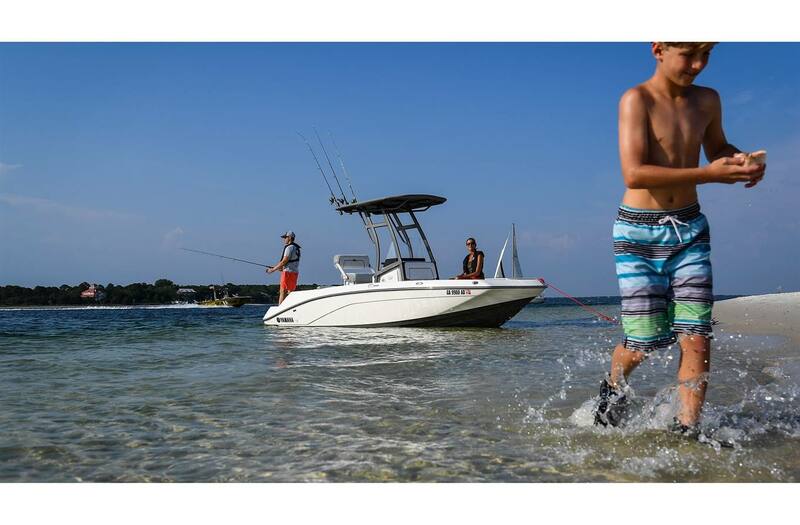 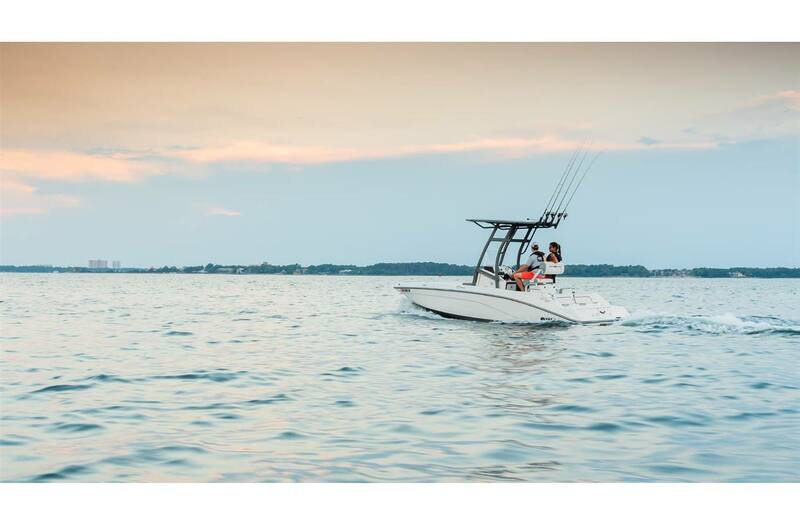 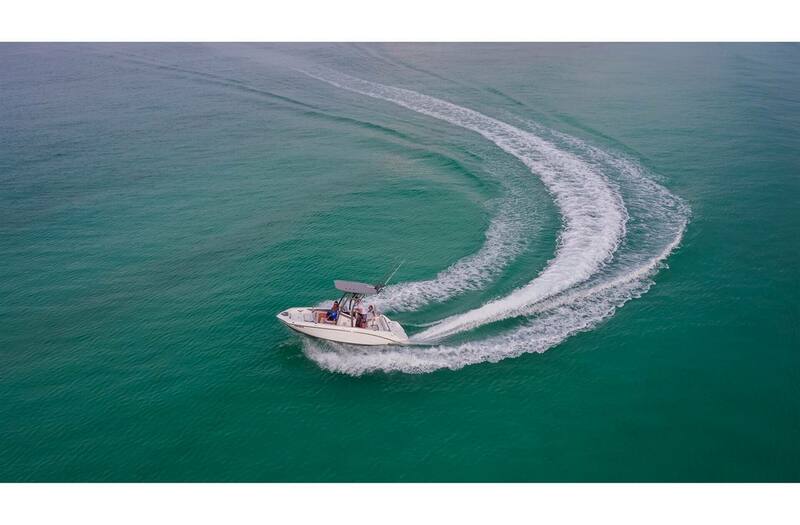 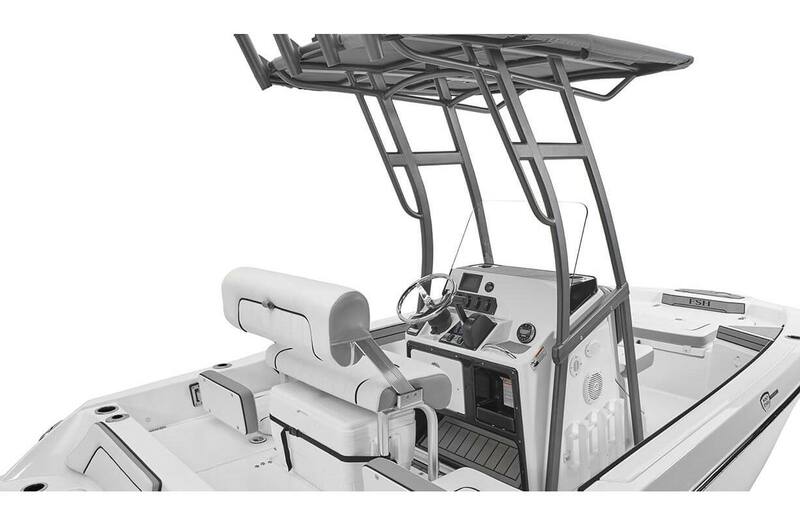 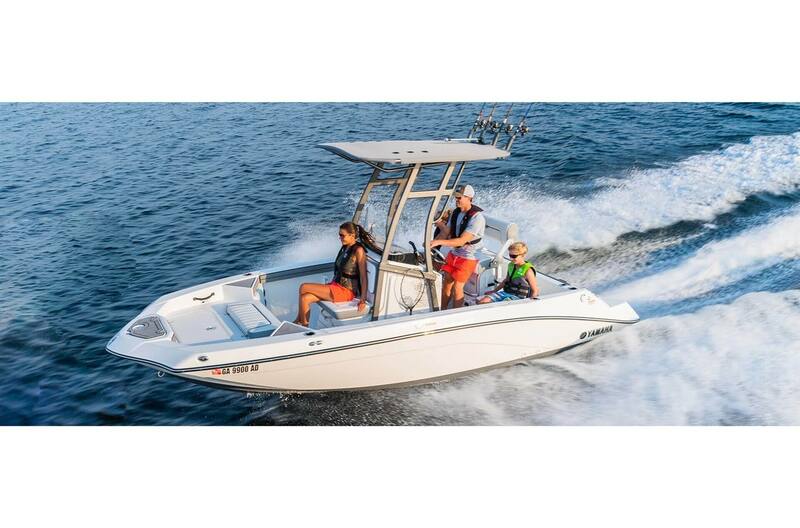 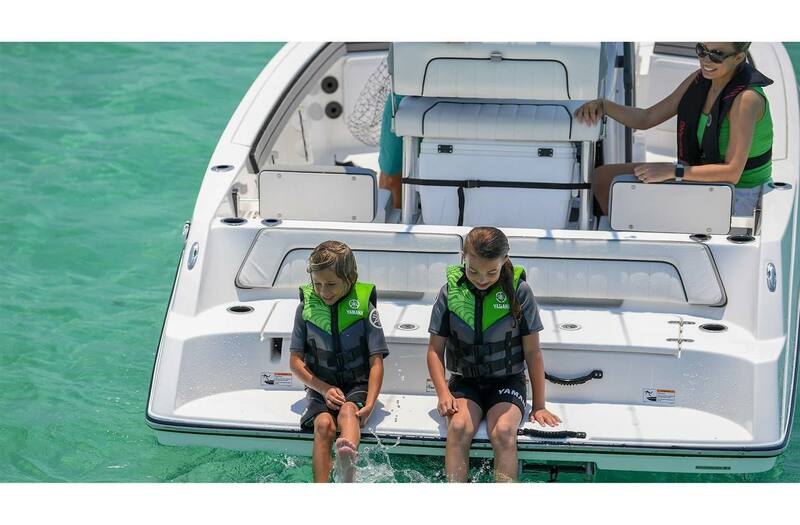 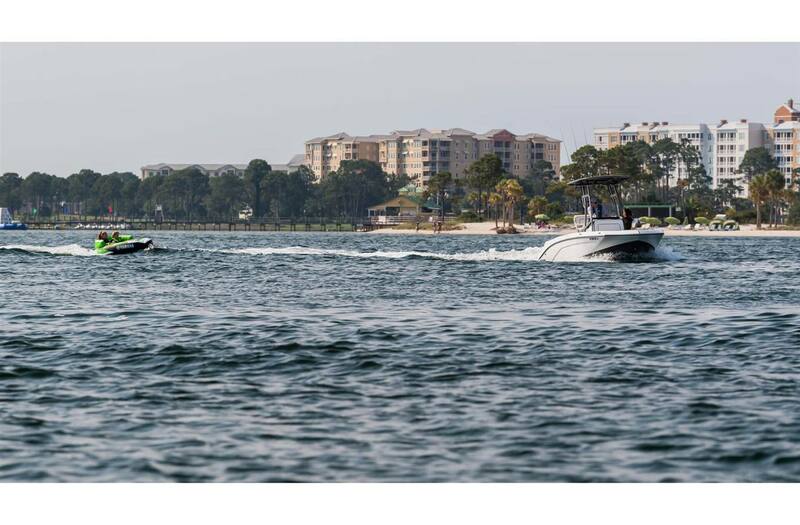 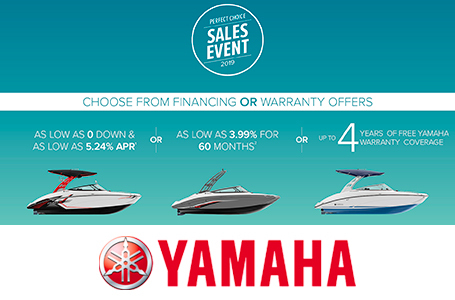 Lean Post: Works as both the perfect captain's perch or sit aft for the perfect fishing spot. 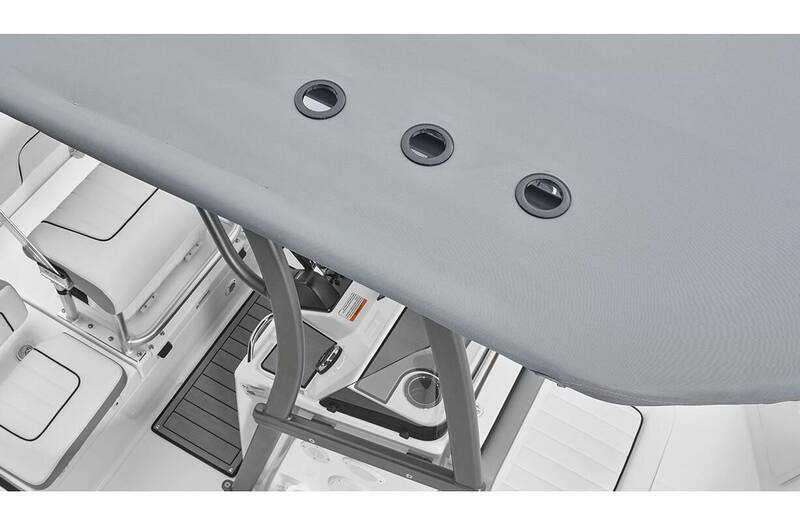 Grommets: The T-Top includes grommets to prevent any tearing while storing your fishing rods. 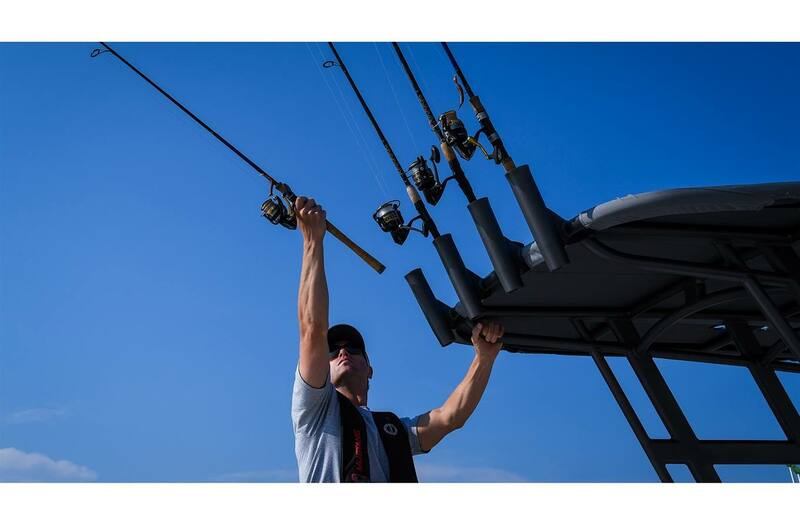 Grabrails: Features convenient new grabrails for easy gripping. 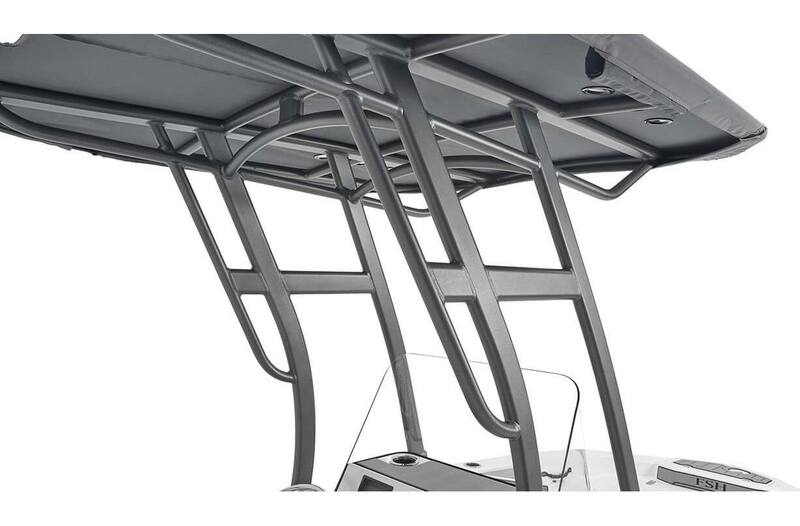 In-Water Height (Bridge Clearance): 7 ft. 11 in. 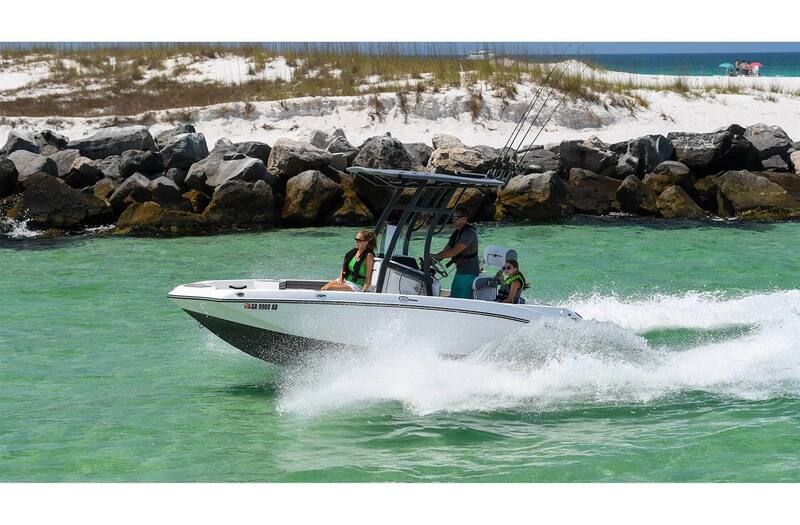 Seating Capacity/Weight Capacity: 8 persons; 1,650 lb.